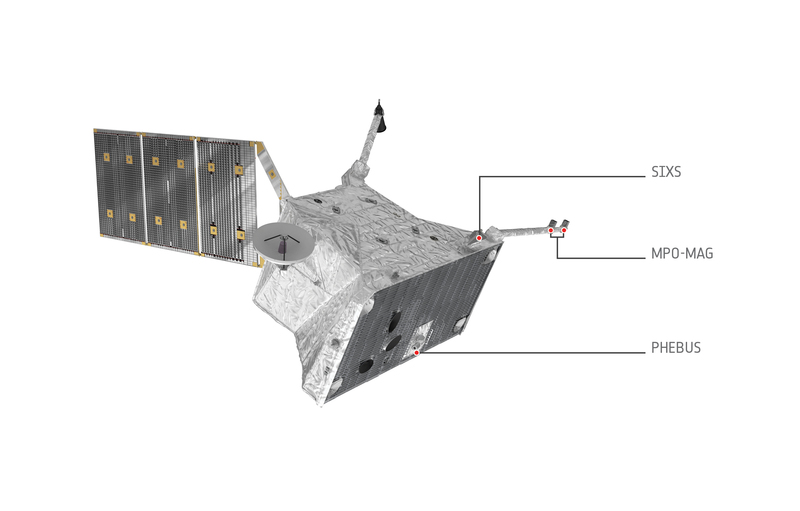 The science instruments of BepiColombo's Mercury Planetary Orbiter. There are 11 instrument suites in total. In this view only MPO-MAG, PHEBUS and SIXS are labelled; see this image for details of the other instruments.